Observation: only inbound and outbound calls involving the telephone network can be recorded. Web calls (Internet to Internet) can't be recorded. 1. Go to the Phone Numbers menu. 2. 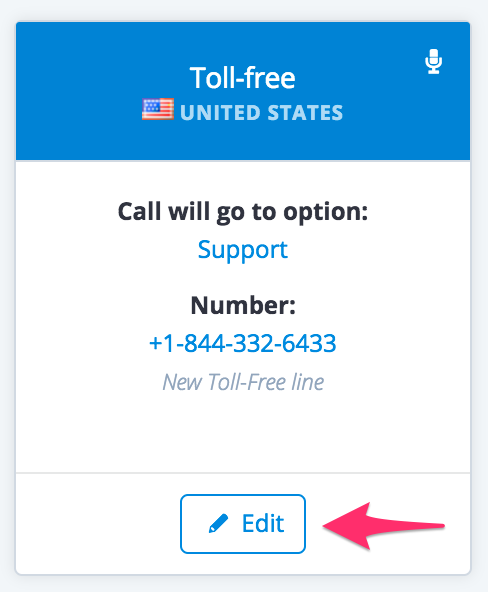 Select the number you would like its calls to be recorded, and click on Edit. 3. Check or uncheck on Record inbound calls if you want to enable or disable call recording on this number. 4. Click on Save Changes to finish. 1. Go to the Agent's menu. 2. Select the agent you would like their calls to be recorded, and click on Edit. 3. Check or uncheck on Record outbound calls if you want to enable or disable call recording of this agent.